Granite City High School has a club for any need. Whether it be the robotics club or the science club, students are sure to find one that fits their interests. Since there are so many clubs in GCHS some of them remain lesser known, such as Young Authors Club and Hobby Club. Hobby Club is one of the most stigmatized clubs but, it is actually a lot cooler than most people tend to think. About 6 years ago English teacher, Chris Hutchings, started the Hobby Club. With only a few students involved the club would get together to read comics and talk about them like a book club. Eventually, kids wanted to bring more activities into the club, such as card games and boards games, and that’s when the club really turned in to what it is today. 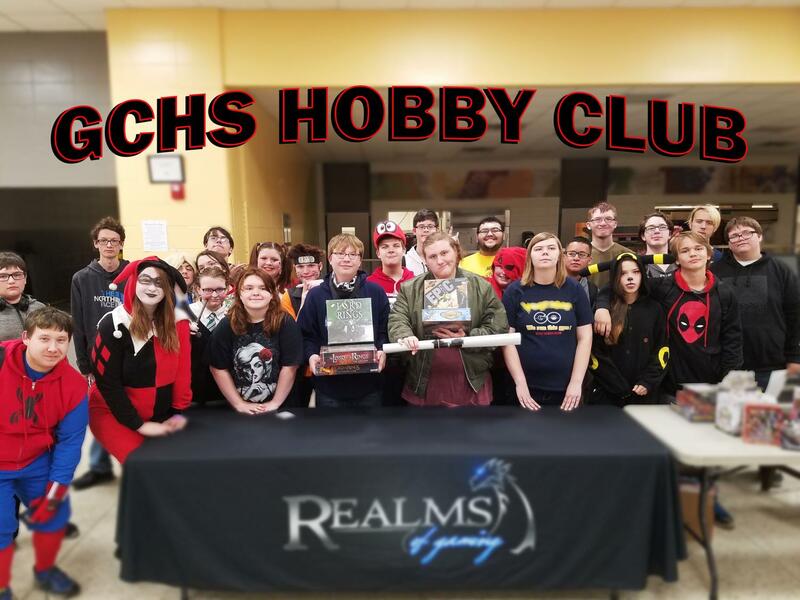 To draw more interest, Hobby Club will host its annual Warrior-Con, GCHS’ own spin on Comic-Con, on Nov. 2, 2018 from 5:30-8:30 p.m. They will also be holding another Warrior-Con in March 2018. The cost is $5 for each event. Hobby Club also has a ping pong team that is run by Josh Anderson. They meet every Monday in the main gym. But Hobby Club isn’t the only club that tends to go unseen. Young Authors Club is one that most students sadly tend to ignore. Young Authors is a group of students who participate in creative writing exercises to enhance theirskills in creative writing. Studentscan also bring in any outside work that theyhave done as well. “Young Authors is a club where students can get together for creative writing. Whether it be a story, song lyrics, poetry, or an essay, you can come here to share it,” said Young Authors sponsorLori Caveny. Caveny also stated, “We have about 15-20 people come to the meetings that happen every Wednesday right after school. At the end of the year, the club members compose a book of the works that students have submitted over the course of the year. Then they publish the book on Amazon and everyone who has participated has become a published author. Both of these clubs are always accepting new members. So if you’re looking for something new to do, go to one of their meetings and give the club a chance!